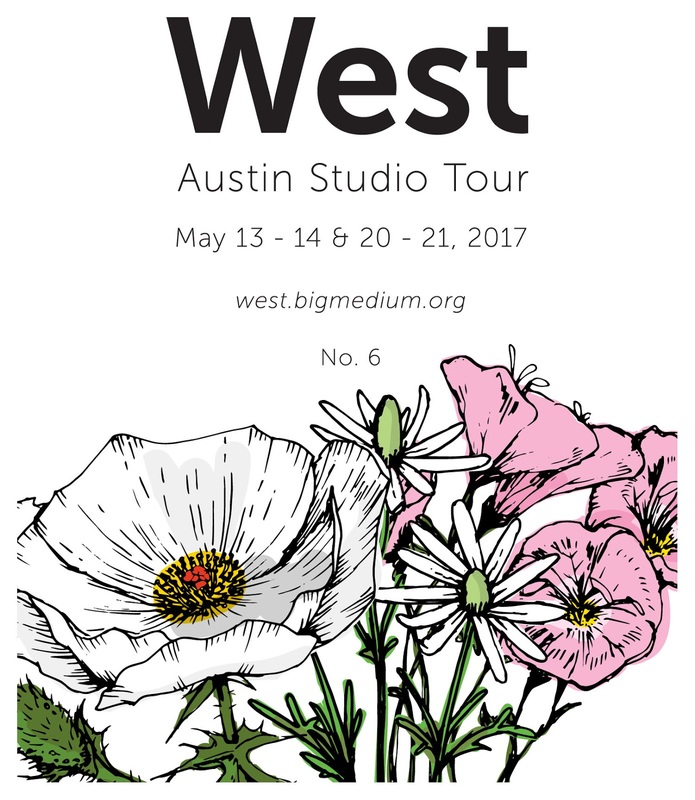 Here is the flyer for the West Austin Studio Tour, 2017. I am excited to be participating again with guest artists Dawn Winter and Mariel Fogel at my studio! More details to come. Where did February go? I spent the first week of it preparing for my son's Birthday celebration, and the rest, slowly building up my inventory, not to mention restocking mugs and TX dishes at Sugar and Paris on South Congress. I miss living with pets (sometimes) and this mug is representative of that longing for a cat to curl up with! 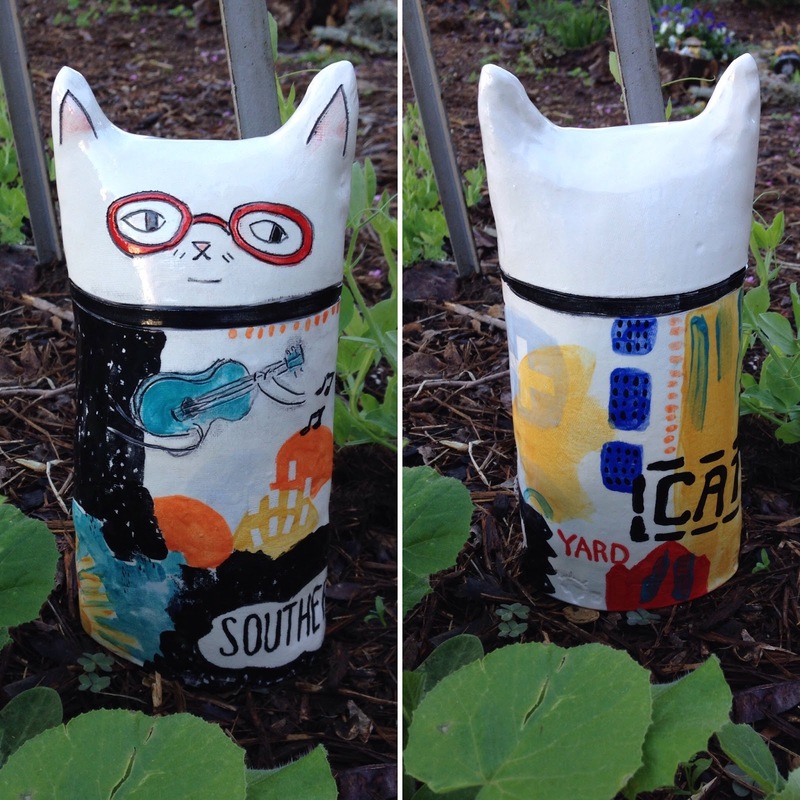 New yard/garden art sculptures. Cute slab-built cats with a funky folk artsy feel! I've got a whole series of these in the works, playing with sizes and designs! Decal mug featuring a butterfly in the center and then two halves of another butterfly - one on either side. Front of the mug has some decals cut and applied over glaze. Back of the mug has a tiger balancing on an incised geometric pattern. My daughter at the Zilker Botanical Gardens.